What problem do I need or want to solve? Who has solved this problem before me? What did their solutions look like and what were the pros, cons and contexts? As with a bunch of this, I was already familiar with a bunch of this stuff due to my time in Africa. The ability to self-solve in the bush is a way of living for many people and I benefited greatly from the wisdom and experience of others. What happens when you have a working vehicle platform capable of taking you into the bush and bringing you back again fail due to a single issue like the battery? Your amazing vehicle is proverbially dead in the water. The winch, the lights, the CB, the seat covers, the dual fuel cells, the lift-kit, tires, etc. Nothing. No battery, no start, no mobility. You're looking at the biggest paperweight you didn't imagine buying. 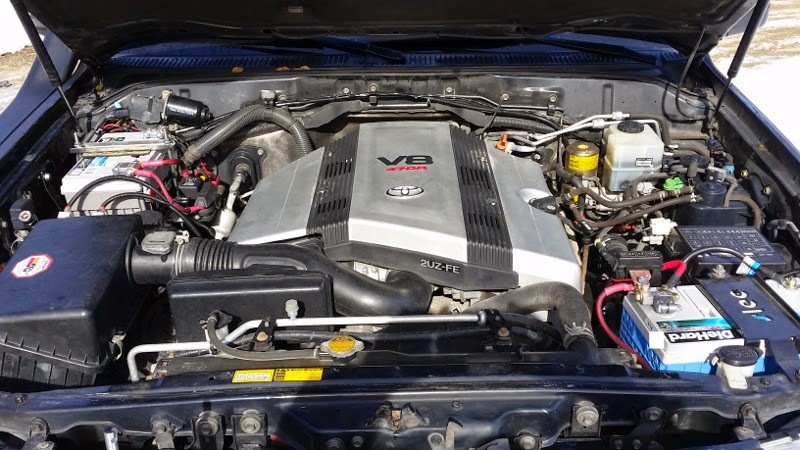 In addition to paying attention to the type of battery you purchase, cranking amps, load capacity and comparing consumption velocity of the platform to recharging capacity of the alternator, we have to understand things like "Plan B". Plan B, in this case is, what if the primary battery doesn't start, what do we do? The answer is a secondary battery system. However, the implementation of the idea is a little more cool than just taking a second battery in the truck just in case. I was interested in a system that had the allowed me to start the platform from battery B if necessary, allowed me to run lights, phones, computers and refridgerators while the truck was off without risk of burning the primary battery, as well as, having the ability to link both batters to bear the distributed load of a winch if and when necessary. A number of companies have solutions in place for this. 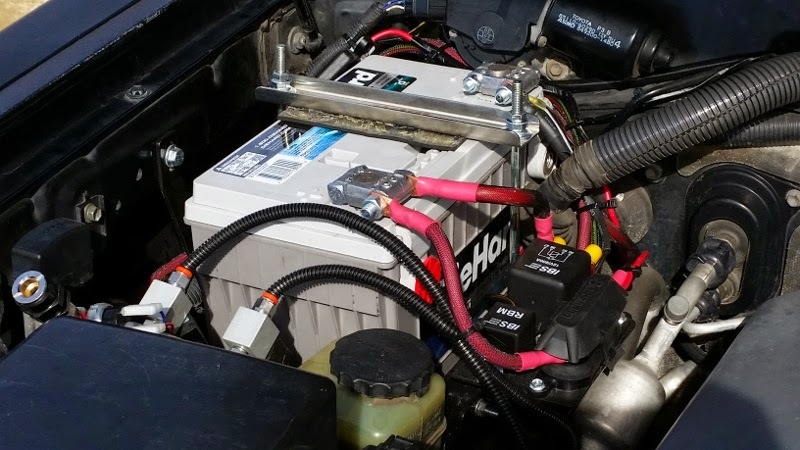 I settled on the IBS dual battery solution sourced and installed by Slee Off-Road in Golden, Colorado. Their implementation of the solution included running a large gauge wire from the engine box to the back of the truck with an additional fuse block, USB and 12v cigarette lighters so I could charge and run things from the front, as well as, the back of the truck in a self-serviceable manner thereafter. 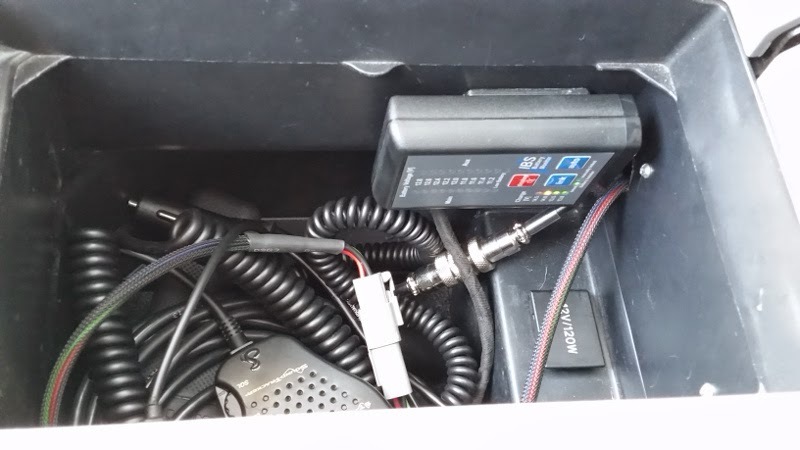 The primary and secondary batters are both Die Hard, the dual battery system itself is IBS and wanting the interior of the truck to continue to look stock, the battery monitor and remote control are wired to, and mounted within, the center console. Available when needed, out of the way when not. Next up? Road-use. Hopefully, I don't ever need to rely on the presence of a second battery due to primary battery failure. Hopefully I never have to rely upon the ability to use two batteries to bear winch load. More likely is charging a cell phone or laptop or running a spotlight off the back of the truck. Nonetheless, planning ahead is a lot of fun. My goal is to not put myself in a position where I need these things; but if I end up there, I have options.